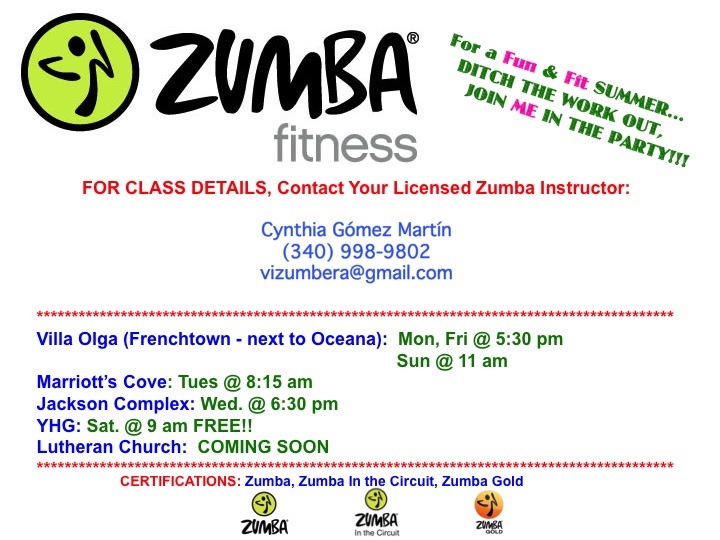 Cynthia added a few more classes to her summer Zumba schedule, so I thought I would spread the word. Zumba at Villa Olga by the pool, Monday and Friday at 5:30 pm and Sunday at 11:30 am. 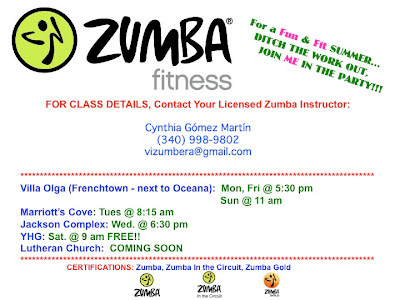 Since this is in Frenchtown, where we practically live since Jay works there and we usually go directly to Hook, Line and Sinker, I'll be going to this class getting my Zumba on! Come join us!